I’d like to introduce you to a new addition to the Frodo the Sheltie gang. 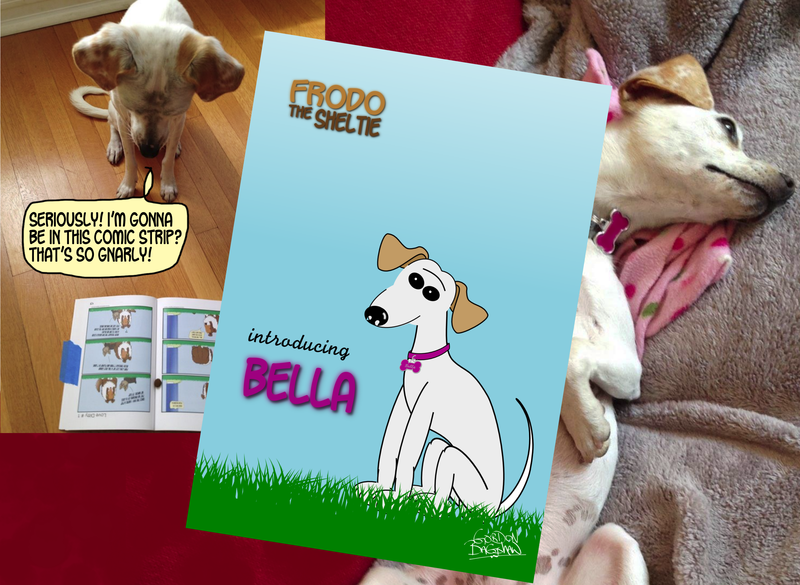 Bella is sweet, cute, adorable; and she’s also Frodo’s distant Californian Cousin! Her debut comic strip is titled As The World Turns, which will be posted in a few weeks. I love how your Frodo family is growing!!! Me too, it’s a real treat.